Magnesium is an essential mineral which is involved in energy and carbohydrate metabolism. The Malate form has a soothing effects on the muscles. 1. Better sleep - The sleep hormone melatonin is disturbed when Magnesium is deficient. Magnesium brings balance and controls stress hormones and stress and tension are often reasons why people suffer from insomnia in the first place. 2. Relaxes the nervous system. The neurotransmitter serotonin, which relaxes the nervous system and elevates mood, depends on Magnesium. 3. Bigger and stronger muscles. Magnesium allows the body to produce more Insulin-like Growth Factor (IGF-1), a major contributor to the growth and strength of muscles. Furthermore, adenosine triphosphate (ATP) is the cell's energy store, must be created with help from Magnesium. 4. Better flexibility. Magnesium causes the muscles to relax, and without Magnesium, muscles do not relax properly and cramps occur. This mineral is important for flexibility, as low Magnesium results in a buildup of lactic acid, causing pain and tightness. 5. Bone integrity and strength. Magnesium helps calcium to absorb properly, and without magnesium, the calcium supplements may be almost useless, and may actually contributing to osteoporosis. There are actually about eighteen essential nutrients that contribute to bone health; Magnesium is one of the most essential, because it stimulates a particular hormone called calcitonin. It also suppresses a hormone called parathyroid that breaks down bone. 6. Remineralizes teeth. Magnesium deficiency causes an unhealthy balance of phosphorous and calcium in saliva, and this can damage teeth. 7. Alkalizes the body. Magnesium helps return the body’s pH balance. Magnesium reduces lactic acid, which is partly responsible for post-exercise pain. 8. Hydrates. Magnesium is a very important electrolyte that is essential for proper hydration. 9. Helps to relieve constipation. 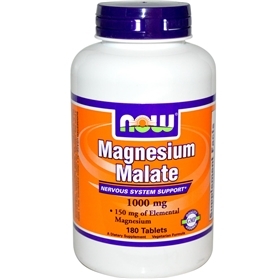 Between 400mg-1200mg of Magnesium can be used to cleanse the bowels of toxins. 10. Enzyme function. Enzymes are protein molecules that stimulate every chemical reaction in the body. Magnesium is required to make hundreds of these enzymes work and assists with many others. 11. Diabetes. Magnesium enhances insulin secretion, and that facilitates sugar metabolism. Without Magnesium, glucose is not able to transfer into cells. Glucose and insulin build up in the blood, causing various types of tissue damage, including the nerves in the eyes. 12. Prevents stroke and heart disease. In about 1/3 of all heart attacks, low magnesium levels are involved.